Amsterdam Apartment, Prime Location, € 600/month. Really? 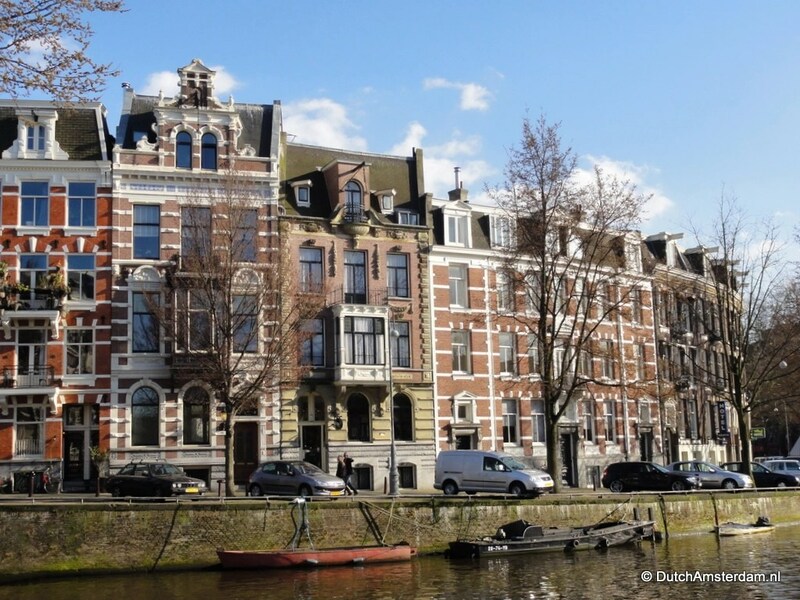 Home | News | Amsterdam Apartment, Prime Location, € 600/month. Really? DutchAmsterdam.nl — Nigerian criminals (but also those with different nationalities, the Dutch included) are actively targeting the Amsterdam housing market, using online advertising- and auction websites to defraud people looking for apartments. The apartments on offer either do not exist or are already occupied by legitimate renters or owners. Affordable housing is notoriously difficult to find in Amsterdam, particularly in the most popular areas of town. With too few affordable homes available, rents outside the restricted social housing sector are often sky-high. The average monthly rent for an 80m² apartment in the so-called ‘free sector’ is € 1,823. Tourist, students, interns, expats and even locals often turn to websites such as Craigslist, kamer.nl, expatriats.com or Marktplaats, a Dutch eBay daughter, as a source for apartments. While these online services include many legitimate ads, they are also used by criminals who take advantage of the stagnated housing market. Typically, the offer will sound too good to be true — especially if the ad already has been online for more than a few days. Advertisers usually claim to be outside the country — whether for an emergency family visit, a business trip, or because they ‘live in London.’ Their emails tend to be in poor English, and are often overly friendly. Since they are out of the country, they want to make a quick deal with you. You can send them your money via (anonymous and virtually untraceable) Western Union or MoneyGram and they’ll send you the keys by courier. Alternatively, you are welcome to meet with a representative who works on their behalf. The ‘representative’ usually is introduced either as a ‘friend,’ a ‘solicitor,’ or a ‘courier’ who — it turns out — is pressed for time and will therefore meet you not at the apartment itself, but at a café downtown. All he needs is for you to fill out and sign a form — which means your identity, credit card details and other personal information is now in the hands of criminals. Next you’ll be asked for the rent money: first and last month plus a deposit, and perhaps the cost of the courier service from London or elsewhere to Amsterdam. If you wish to view the apartment before committing yourself to renting it the representative will remind you that he is pressed for time. He has an expected appointment after which he will see another potential renter, making it imperative for you to sign the contract if you don’t want to lose this fantastic opportunity. If you still insist on seeing the place first you’ll be asked for a security deposit for the keys. You’re welcome to go and see the apartment after which you an simply drop the keys in the mailbox from which he will retrieve them later on. Once you arrive at the address he provides you’ll find the place does not exist, or the apartment is occupied by the legitimate (and puzzled) renters. Amsterdam police say the vast majority of IP addresses used in the scams are traced to Nigeria. Many Nigerian scammers also operate from England, or even from within Amsterdam, using internet caf&#233’s, proxy services and other methods to make tracing them difficult, if not impossible. Many of the websites used in the scams say they remove obviously fraudulent ads, but ultimately they simply provide an advertising platform and users of their services are responsible for determining whether or not a deal is legitimate. When you sign a rental contract and provide your ID, ask for a photo copy of the landlord’s ID as well. In addition, make sure the rental contract states what is and what is not included (utilities, use of the garden and/or roof terrace, cable TV, internet connection, et cetera). Try to negotiate. While most legitimate landlords will not take less rent than what they advertised, you may be able to rent without paying a ‘last month’ in advance. Make sure you get a detailed receipt for each rental payment as well as for your deposit. Take photos of the property as soon you as you arrive — perhaps even upon first inspection. You could always say your parents are paying for the place, so you want them to see what it is like. Document everything: the walls, the doors, the floors, etcetera. If there is any damage, have the landlord note it on your rental contract.